Jidax, the latest talent to emerge out of the European electronic dance music scene, have been best friends since childhood. Jide and Axel (thus their collective stage name: Jidax), have taken the club world by storm since being hand picked to take over the turntables at iconic Champs-Elysees club Queen. Playing alongside world renown DJs from Erick Morillo, Axwell, Calvin Harris and Above & Beyond, to Bob Sinclar, AN21, Alesso and Eric Prydz, Jidax has gained its own following of fans who turnout in masse for their magnetic stage presence, distinctive energy and DJ sets. The 21 year-olds have since gained attention for their technique, appeal and their production skills. 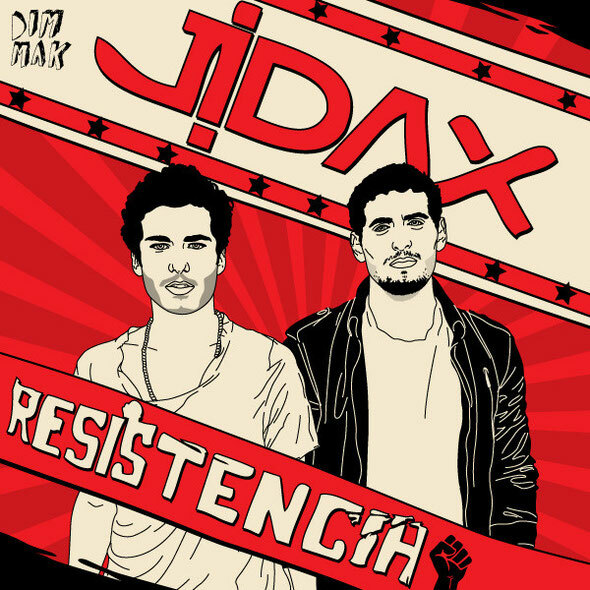 Jidax has had several hits released on Pacha Recordings and Robbie Rivera’s Juicy Mix. Upcoming productions include a highly anticipated release of ‘Resistencia’ with Steve Aoki on his label, Dim Mak, as well as the recently released ‘Rainfall’ on Pink Star Records that has already been played by David Guetta, Afrojack and Chuckie on heavy rotation, as well as a remix of Avicci’s ‘Fade ‘Into Darkness’. ‘Resistencia’ is out 12th June, check it out below.